From Memphis to Texas to Alabama and back to our own backyard, Detroit has attracted pit stylings for as long as folks have been migrating here for auto jobs. We all have our favorite spots -- some are tourist destinations; others are holes in the wall only appreciated if you happen to live down the street and can get a whiff of the smoker. Lucky for you, we've rounded up the best of them. When you’re looking for a Southern-style, vinegar-based BBQ that’s a step away from the sweeter sauces around town, you’ll want to go for this North End, family-owned spot, known for its succulent rib tips. Check out the smoky, ribs-done-proper that come out of Vicki's smokehouse, which have caught the attention of the likes of Anthony Bourdain, who gushes over all things Detroit comfort food. A place that tackles nearly every style of barbecue, cranking out moist and tender Carolina pulled pork, Texas beef brisket, and Kansas City burnt ends. Order any of it in your burritos, sandwiches, and the daily specials that lunchers swear by. 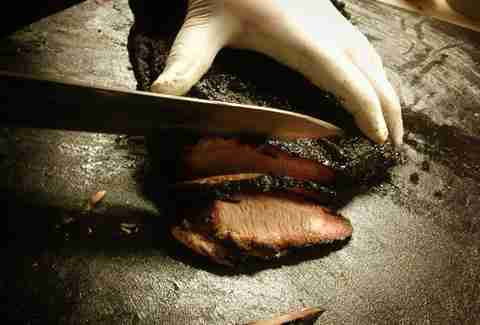 Food trucks are almost a cliché in Detroit, but when it comes to brisket with a nice protein-to-fat ratio, you'll gladly seek out Detroit BBQ Company on the GPS, often found at the Royal Oak Farmers Market and other foodie events. 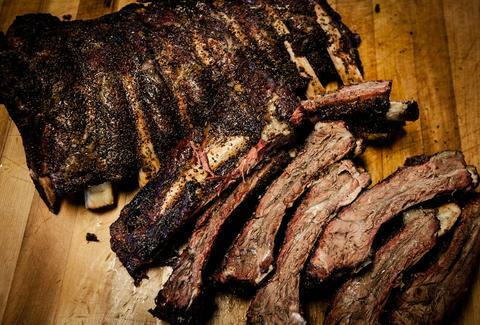 Beware: It routinely sell out faster than you can say meat sweats. 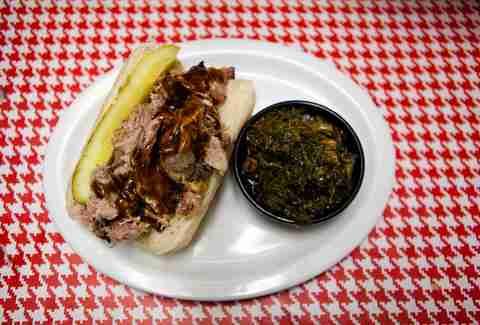 Some say Slows helped put Detroit back on the foodie map. 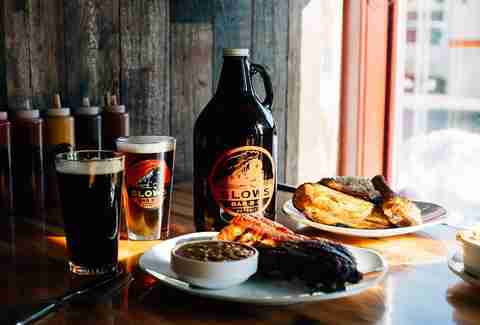 Given the line that’s always spilling over here, you’ll understand why, with its wide selection of ribs, brisket, signature sweet and spicy sauces, and local brews. This Eastern Market staple is a gathering place for folks with a craving of classic BBQ, wings, live music, and cheap cocktails. Think Elvis meets classic BBQ. Old-style ribs and brisket, plus barbecue-stuffed egg rolls, and a cool rocker vibe. Deep in Ferndale on Nine Mile. 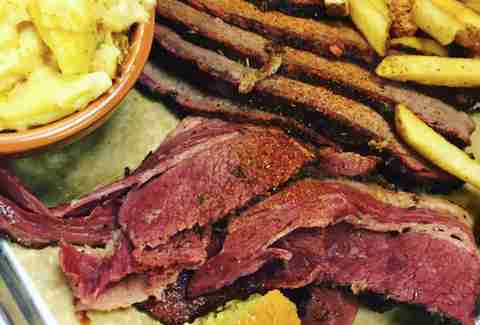 Texas-style barbecue in Detroit is hard to come by, which is what makes Lockhart’s so special. Dry rubbed and slow cooked for upwards of 14 hours, you’ll find nothing but classic flavor in the ever-trendy Royal Oak. Think chicken and waffles, heavenly brisket sandwiches that come with smoked au jus, and you’ll understand why this chain works so well in metro Detroit. If you’ve ever come across Stonewood proprietor Gary Wakeford, you’ll know the love and care that goes into his meaty ribs. 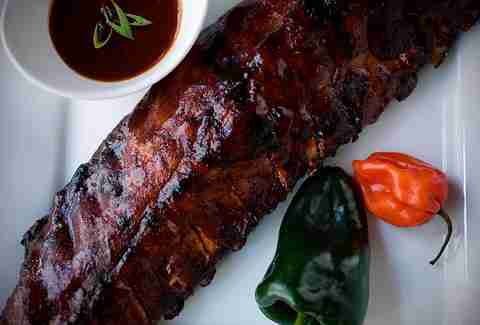 They’re marinated and smoked, giving them a rich flavor that lingers in your mouth for days. Put a pin in the gentrification of Greektown with the renaming of the eponymous casino to Jack. 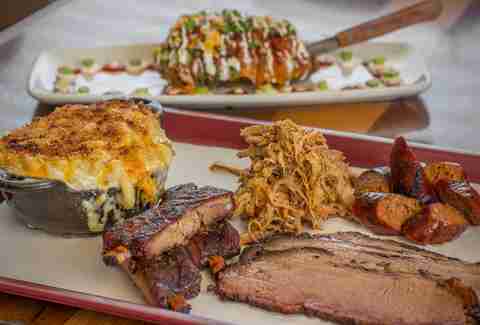 Red Smoke Barbecue has that upscale vibe and the typography to match the neighborhood, but the BBQ, taking on nearly every regional style, is solid. 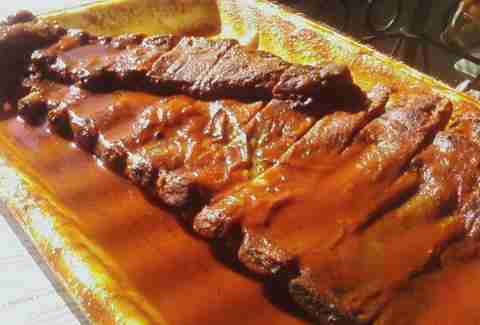 Watch for the regular specials, like sliders in your choice of BBQ-marinated meats. It's outside of Detroit proper, but Union Woodshop is the haul that Detroit's pitmasters demand you visit. 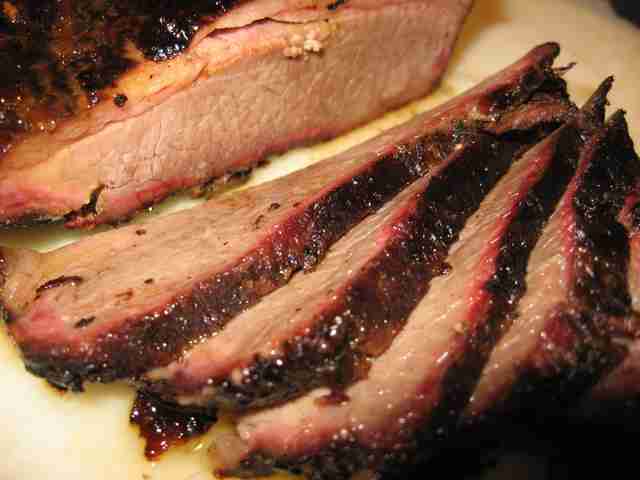 The chefs are methodical about their green hickory-smoked traditional BBQ. Regionalia is captured in its sauces, from Decatur, Alabama (mayo-based, peppery and tart) to our backyard in Hell, Michigan (laced with ghost peppers). The kitchen takes as much care with the rest of its menu covering just about any type of food you could possibly want -- pizza, sandwiches, burgers, salads -- and it's all legitimately good. Serena Maria Daniels is a freelance writer and editor in Detroit who would rather be licking her fingers of BBQ sauce than deal with angry emails from her editors. Follow her saucy exploits at @serenamaria36.